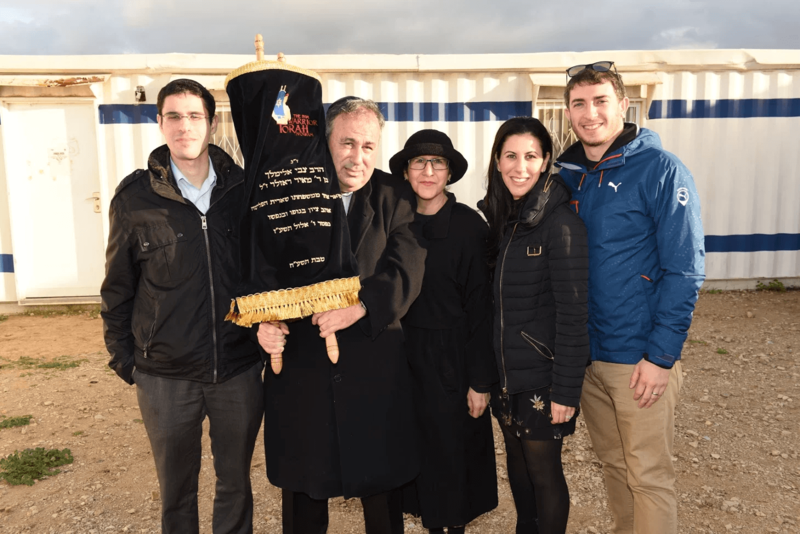 Sefer Torah finds its Home with the Iron Dome! 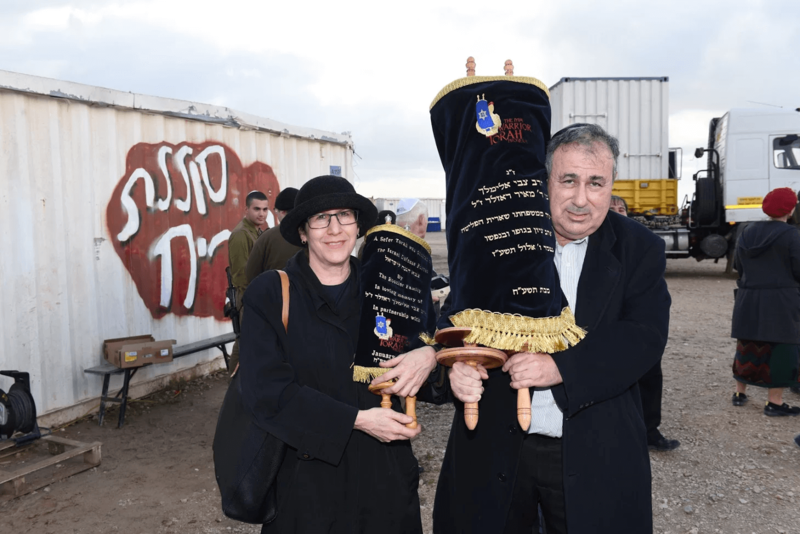 Home » IYIM NEWS AND EVENTS » Sefer Torah finds its Home with the Iron Dome! On a beautiful winter’s day in January, IYIM had the honor of hosting a very unique Torah Dedication to the IDF by the Roszler Family. Janis and Myer Roszler of North Miami Beach, along with their children, siblings and extended family dedicated a Sifrei Torah in loving memory of Myer’s father, Rav Elimelech Roszler z”l. The Torah was dedicated to the Southern Iron Dome Unit located in the northern Negev, “patrolling” the skies over the Gaza strip. This mobile unit is extraordinary by nature as it disperses every six months and travels across the country. The unit’s purpose is to use their radars to detect rockets with the biggest threat and shoot them down. 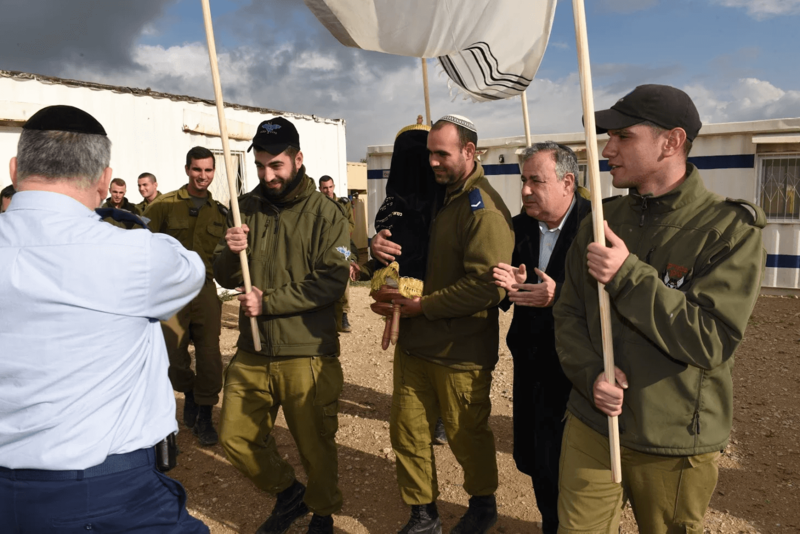 As the Roszler’s and their guests entered the Iron Dome unit compound they were greeted by smiling soldiers who were staring in disbelief that fellow Jews would travel from so far away to their base to celebrate a Hachnasat Sefer Torah with them. As the music blared, soldiers and family members danced with the Sefer Torah, taking turns holding it under the chuppah. Singing and dancing could be heard all throughout the base as the Torah made its way to the makeshift synagogue. There, all huddled in a container-like room, speeches were made by the Chief Rabbi of the Air Force, Lior Bardeya, the Rabbi of Israel’s Air Defenses, Yair Abu, the commander of the base, Major K., the Executive Director of IYIM, Daniel Meyer, and family members, Isaac Roszler and Shimmy Kandel. The commander shared that in all his years in the army, this was his first ever Hachnasat Sefer Torah and he felt privileged to be a part of this special occasion! Rav Elimelech Roszler z”l was the sole survivor from his family, who all perished in the Holocaust. Both of his grandsons emphasized his love for the Land of Israel and Torah during their speeches which were very personal and emotional. 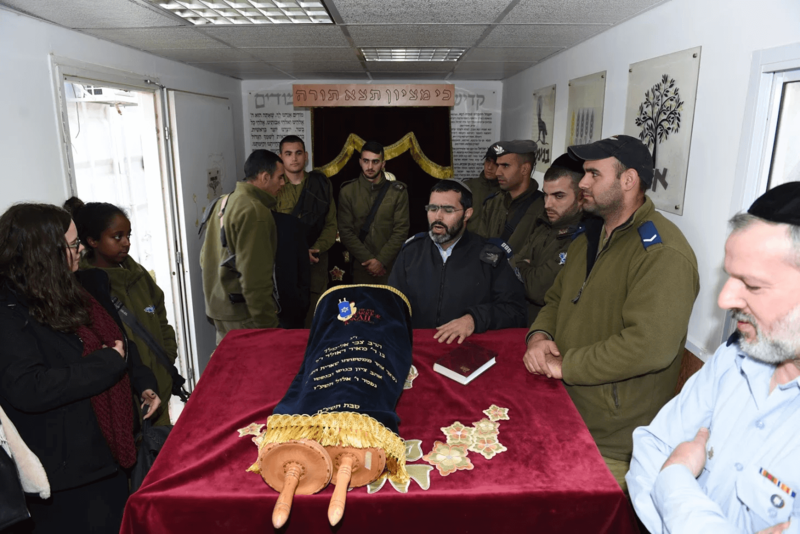 As Rav Elimelech z”l rose from the ashes of the Holocaust and embraced Zionism, so to will this Sefer Torah be a symbol of strength and shield Israeli soldiers in times of need. The dedication of the Sefer Torah was facilitated by the International Young Israel Movement (IYIM) – Warrior Torah program (www.warriortorah.org).